When we’ve learnt about the love god, Dragobete, and his celebration on the 24th of February, I mentioned his beloved mother, Baba Dochia. She is a very endearing presence in the Romanian pantheon who is surrounded by captivating legends. As a child, I was fascinated by the tradition of Babele, which celebrates the changing of the seasons, the ascension of the goddess, and man’s struggle with nature. In the Romanian pantheon, Baba Dochia (Old Dokia) is identified with Gaea. She is believed to have been a real person born in the time of the Roman emperor Trajan. In some instances, her figure is overlapped with that of Eudokia of Heliopolis, but the historical consensus is that she was the daughter of the Dacian king Decebalus and betrothed to Trajan. The church sanctified her as the usurpation of the Neolithic agrarian goddess celebrated at the beginning of March. Even though she is a reimagined depiction of the Neolithic agrarian goddess, Baba Dochia’s legends are rooted in the wars between the Romans and the Dacians, the two civilizations that formed Romania as a culture and nation. One legend says that the Roman emperor Trajan fell in love with Dochia, who was a Dacian princess. The love was not mutual and even though she rejected him, Trajan was determined to marry her. He was advancing in his conquest to conquer Dacia (which is on the current territory of Romania) and Dochia knew that she couldn’t escape marrying him much longer. So she disguised herself as a shepherd and her people as sheep to seek refuge in the Carpathian Mountains. When she asked the old Dacian god Zalmoxis to save her, he turned her and her flock into stones. 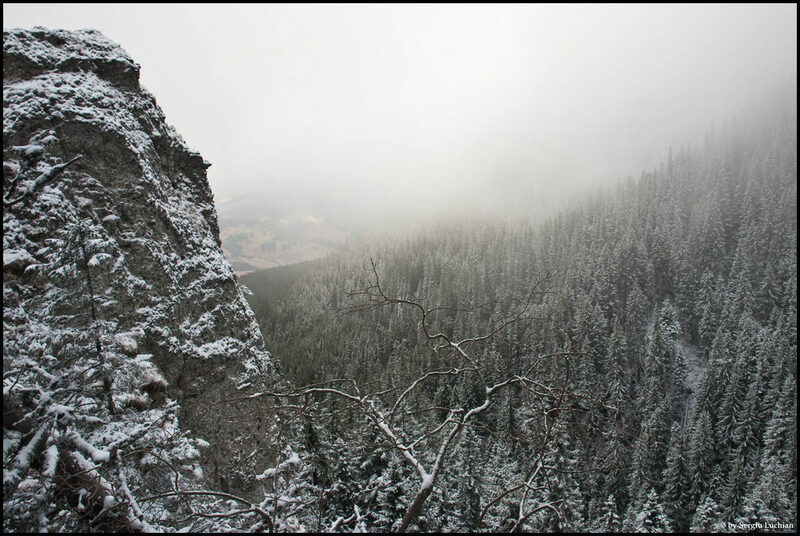 Today you can still see the legend petrified in the rock that bears the name of the Dacian princess in the Ceahlau Mountain and her flock, Babele (The old Women) in the Bucegi Mountains. Another legend says that Baba Dochia was the mother of the young Dacian love god, Dragobete. He married the older sister of the hero Lăzărel against his mother’s wishes. In some versions of the legends she is also named Lăzărel herself or Lăzărita, and she is is also Dragobete’s sister. 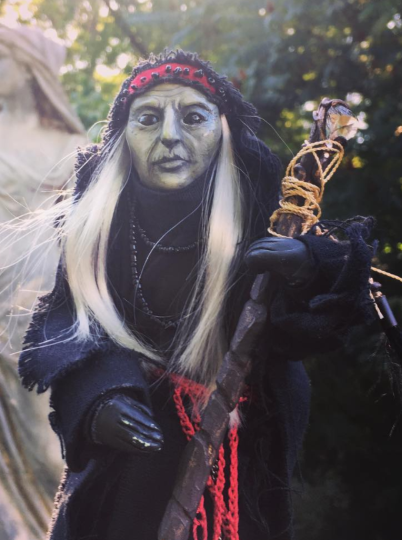 Baba Dochia sought to make her daughter-in-law’s life difficult. She gave her many impossible tasks that Lăzărita, was always able to accomplish with divine intervention. This made the tensions between them grow, and so this old mother in law- young daughter in law relationship is valued in Romanian folklore as the opposition between the new year being born and the old year dying, as the new year is born between war and peace, cold and warm, winter and summer. One winter day, Baba Dochia sent her daughter in law to gather wild ripe berries from the forest, even though she knew it would be impossible to find berries in winter. She told Lăzărita not to return home without the berries. God saw Baba Dochia’s cruelty and Lăzărita’s suffering, so he disguised himself as an elder and met Lăzărita in the forest, where he gave her the ripe berries. When she returned home, Baba Dochia thought that the berries were a sign of spring, so she prepared her flock to ascend the mountains. The other shepherds advised Baba Dochia not to ascend because that would offend the war god, Mars, as it was not yet the season. But Baba Dochia insulted the old god by replying: “I’ll put little Mars through a little nail”, which became a tradition known as Mărţişor, that is still celebrated today. She then covered herself in 9 sheepskin coats and ascended the mountains with her flock. Seeing her defiance, Mars took a few days from the Ironsmith, Făurar, which is the personification of the month of February in Romanian folklore, same as Mars is the personification of the month of March. This is why February has fewer days than the other months. This made the weather seem warmer to Baba Dochia and she was tricked into believing that it was only going to get warmer still. On Baba Dochia’s trail – Mountain route from the Ceahlau Massif, on the way to Baba Dochia’s Stone. The legend says that Baba Dochia climbed this mountain and was turned into stone by exposing herself to the freezing cold. The impressive stone that bears her name can be seen today by following the route marked with blue that starts at Izvorul Muntelui Chalet in the Ceahlau Mountains. Photo credit: Flickr. 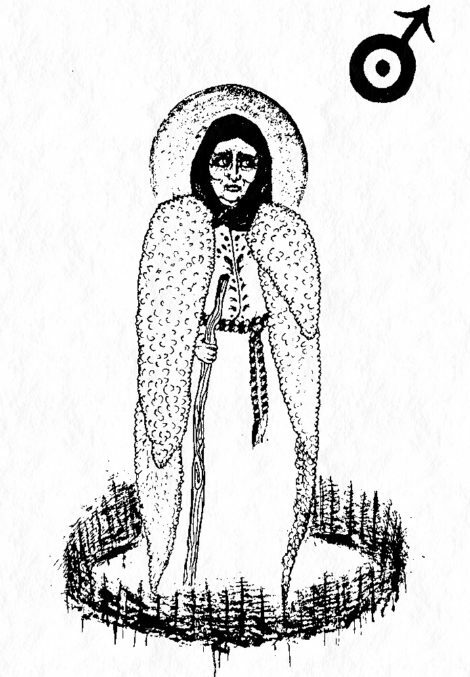 In order to cool herself as she was ascending the mountain, Baba Dochia shed a sheepskin coat off her back each day, starting with the 1st of March, until the 9th of March, when she shed the last coat and exposed herself to the freezing cold. She was turned into stone along with her flock of sheep. The old day of the spring equinox, March 9th, also celebrated as the day of Macinici marks Dochia’s death and her rebirth as a child. On June 24th, at summer solstice which is also celebrated as the Day of Sânziene, Baba Dochia becomes the maiden goddess Drăgaica. At autumn equinox she becomes mother goddess, before finally dying at the spring equinox in order to resurrect with the seasons. To this day, Romanian women celebrate Baba Dochia’s death and birth through the tradition of Babele (the Hags). Each day in between 1st and 9th of March is associated with one of the sheepskin coats Baba Dochia shed while ascending the mountain. During this time, people are faced with unexpected snowstorms and freezing weather, that they believe are summoned by her spirit. Romanian women use the tradition of Babele as a method for divination. They pick one day out of the first 9 days of March beforehand. If the day they have chosen is going to be warm and fair, they will turn out to be fair in their old age and the new year will be bright. If the day turns out to be cold, they’ll turn bitter in their old age and the new year will be dark. On this note, may your Hag Day be bright and your old age be light! 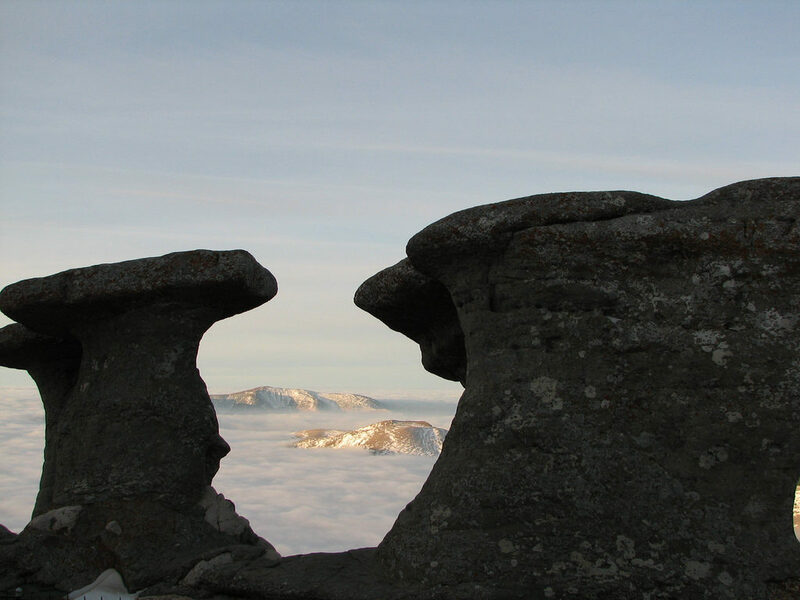 The Old Ladies or the Hags (“Babele” in Romanian), is a natural rock formation on the Bucegi Mountains plateau. Some legends say that this is the exact place where Baba Dochia froze and became stone alongside her flock of sheep. Today, Babele is one of the most popular tourist destinations in Romania. Photo credit: Flickr. Radiana is occasional guest writer at NettlesGarden.com, artist and occult personality. She is also the translator and illustrator of "Yearning for Spirit", a collection of poems and philosophical writings of Lucian Blaga, the radical Romantic Luciferian philosopher. Drawing inspiration from nature and her own heritage, Radiana's main areas of interest are Romanian lore and folk magic. Yes, I want Nettle's Newsletter, too!